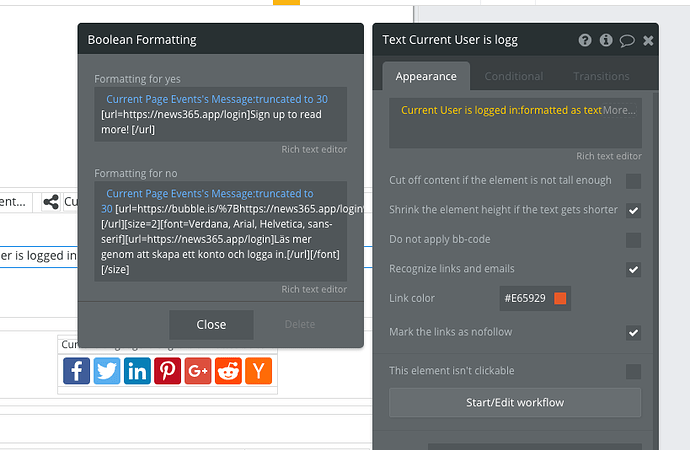 We just added a new option to the text element to automatically convert URLs and emails into clickable links, equivalent to doing [url=https://example.com]https://example.com[/url] in BBCode (or [email][/email]). 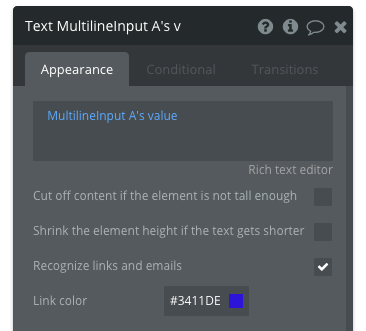 Once you check this option, you’ll also be able to pick a color to have these links show differently than the main text. See more about this in the reference. 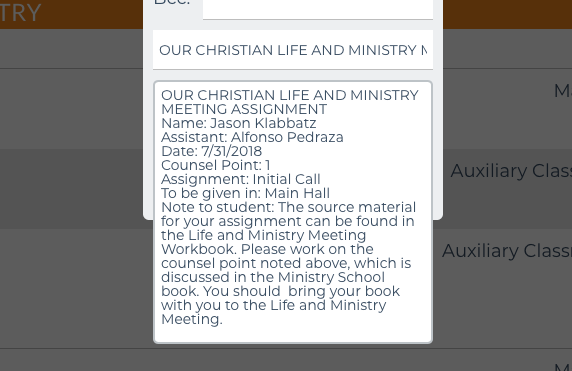 Is there a way to only make part of a text clickable or seperate actions when clicked? How to display blog post content (paragraphs, links) with minimal fuss? We were just about to submit a plugin for your review is to doing the same thing But great this is now part of the native functionality - it’s much easier this way! This sounds great. What a time saver. Question, did this somehow change the multiline text input box? For some reason it doesn’t look right anymore. Did this update change this? It doesn’t seem to be stretching right anymore. This used to be fine. I haven’t changed a thing. Is this a bug? Thanks! Would/could you guys possible add another option to this, that would not only change the Link colour, but also be able to remove or strip out any links too? before any commits are done to the database preferably. We could then choose to strip out any links just like Facebook/Gumtree/Shpock does and any other types of platforms that deal with public postings. Does not work in conditionals in text blocks. I have both tried the rich text editor and bb-code directly.